Contours Travel – the longest-running Latin American tour operator in Australia – is offering a $2020 saving per couple on a new, all-inclusive package that will allow travellers to explore the spectacular wilderness at the ‘end of the earth’ in Patagonia by both land and sea. The ‘Discover Patagonia’ tour departs on March 22, 2018, from Punta Arenas and Contours travel is offering a last-minute saving of $1010 per person until sold out. The all-inclusive, seven-night package takes guests to one of the world’s last great wilderness areas and allows them to explore mountains, lakes, ice-fields, forest landscapes and beautiful vistas of the southern tip of South America. The package includes a four-night cruise aboard the new Ventus Australis expedition ship, which was launched on January 2, 2018. 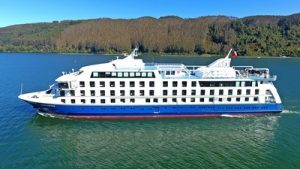 Latin for ‘southern winds’ the 210-passenger ship will take guests along Patagonia’s icy waters to snow-capped mountains, stunning glaciers and legendary Cape Horn, with a host of wildlife along the way including whales, dolphins, penguins, condors and elephant seals. Following in the footsteps of pioneers like Sir Francis Drake and Charles Darwin, Ventus Australis gives guests an unforgettable sense-of-discovery, from the comfort of a deluxe ship. The cruise is all-inclusive, with a complimentary open bar and daily excursions. 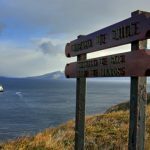 Highlights of the cruise between Punta Arenas and Ushuaia will be a visit ashore, weather permitting, to the ‘end of the earth’ – Cape Horn, which divides the Atlantic and Pacific oceans, as well as a visit to the spectacular ‘Glacier Alley’ on the Beagle Channel. Included in the package are three nights’ stay at the Singular Patagonia Hotel, a luxurious sanctuary next to the world-famous Torres del Paine National Park. The former, century-old cold storage warehouse was transformed into a luxury retreat on the shores of Last Hope Sound near Puerto Natales. Featuring 57 rooms and suites, a full-service spa, a museum and two renowned restaurants, the hotel sits on six hectares of private reserve accessible only to hotel guests. The stay at the Singular Patagonia Hotel is all-inclusive with fine dining, beverages and guided excursions into the wilderness included. Flights to Patagonia from Australia are extra.